Deforestation is a serious threat for the survival of forests, because besides removing the trees, it involves the construction of roads and the immigration of populations in the deforested areas. The proportions of this environmental disaster are really impressive and the phenomenon has shown its most dramatic aspects in Africa. In the last thirty years, Africa has lost two thirds of its tropical forests and the millenary forests are now only 8% of their original surface. 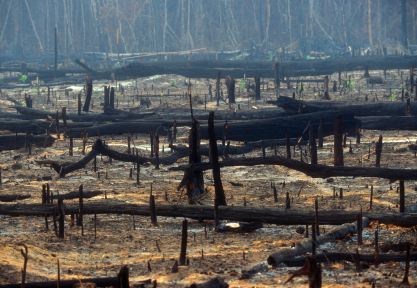 In the Congo Basin, 85% of the forests have been lost and the remaining 15% is now threatened by the lumber industries.